I know some truly talented layout persons, highly skilled and willing to help me when I ask - and probably even when I'm too stubborn to ask. Torchlight, either as a zine or a magazine, needs the best support it can get and this is certainly the best route to take for it to succeed. Current plan is a 16 page Issue Zero of Torchlight to be released as a preview for what we have planned. That will be PDF only and PWYW. Pricing and format(s) for the full Torchlight is being discussed by the Triumvirate. You really can't beat InDesign. that is what really made the decision - i had to decide on going with LucidPress after the free trial or not. It got my feet wet and allowed me to work on simple layouts, but I'd be on my own. The community deserves the best Zine / Magazine / whatever we can put out for SWL and the OSR and that means using the resources of the community as a whole. I didn't weigh in earlier, but I'm glad you went this way. Most of the print houses - including CreateSpace and DriveThru - really seem InDesign focused. 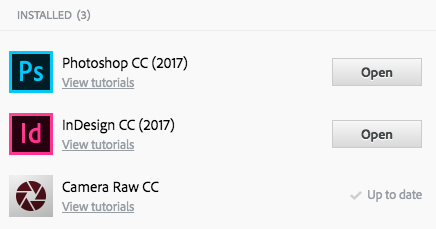 They provide really helpful templates for use with InDesign, they are willing to work with InDesign files if you need help, etc. Industry Standard can be very useful. Besides, now we can commiserate. Nice choice but I won't go InDesign. Unless I can pay for a copy (and I don't have that kind of deep pockets). Won't do the cloud for software. I'll just stick with my old copy of Quark, thank you. As a by-the-way, this was my biggest reservation about the InDesign route. I despise with the fiery passion of 1000 suns the cloud-based subscription model for this. I use InDesign but purchased an earlier edition that doesn't use the cloud subscription. The subscription factor is the reason I won't upgrade to a newer edition. Happy to answer questions Erik, but I'm no graphic designer. Have you tried Scribus. Not easy to learn, and it does ask you use odt files, but it has potential and you can always save Word files as odt.